The idea behind opening up Veg-In YYC was based on a difficulty in finding plant based, homemade, and natural cuisine. We provide healthy and delicious food by blending Western and Traditional Indian recipes. We believe eating better leads to a happy and long life. Located in Downtown Calgary, Veg-In YYC is a purveyor of Plant Based & Vegetarian food crafted by our passionate Homecook, Sehra. Voted as one of the top Plant Based & Vegetarian takeout café’s in Calgary, Veg-In YYC is one of a kind, offering tasty, homemade, affordable food using the freshest produce while supporting local suppliers where possible. We are always creating new burgers, wraps and flatbreads in a delicately chosen menu that is full of flavour and unusual combinations to satisfy your palate. We take pride in serving a large variety of handcrafted dairy and non-dairy Lassi shakes. Let us do the work for you. Order from the comfort of your home through Skip the Dishes! ALLERGY WARNING: Veg-In YYC uses many major allergens including but not limited to wheat, dairy, and nuts in the facility. SERVED ON DAIRY & EGG FREE BUNS WITH YOUR CHOICE OF SAUCES, SPINACH, TOMATOES, PICKLES, HOUSE SLAW AND ONIONS. Smashed Samosa, Masala Chickpeas. Veg-In Sauce, Tamarind, Onions, Carrots. Vegan Naan, House Sauce, Crunchy Samosa, Veggie Blend. We started out with one goal in mind. Create a tasty, inspired, fusion menu that would attract anyone looking for delicious plant based food. We couldn’t have come this far without all the amazing from our loyal customers and supporters! Sehra may be small in stature, but she is a mighty force in the Calgary food scene. At the age of 49, the Hospitality Management grad is the co-founder and creative energy behind Veg-In YYC café, a vegan take on homemade Indian style cuisine and takeout. Calgary Herald restaurant reviewer John Gilchrist called her cuisine "a treat" and Veg-In YYC was named one of Where Calgary's Top 5 Takeout Restaurants of 2017. 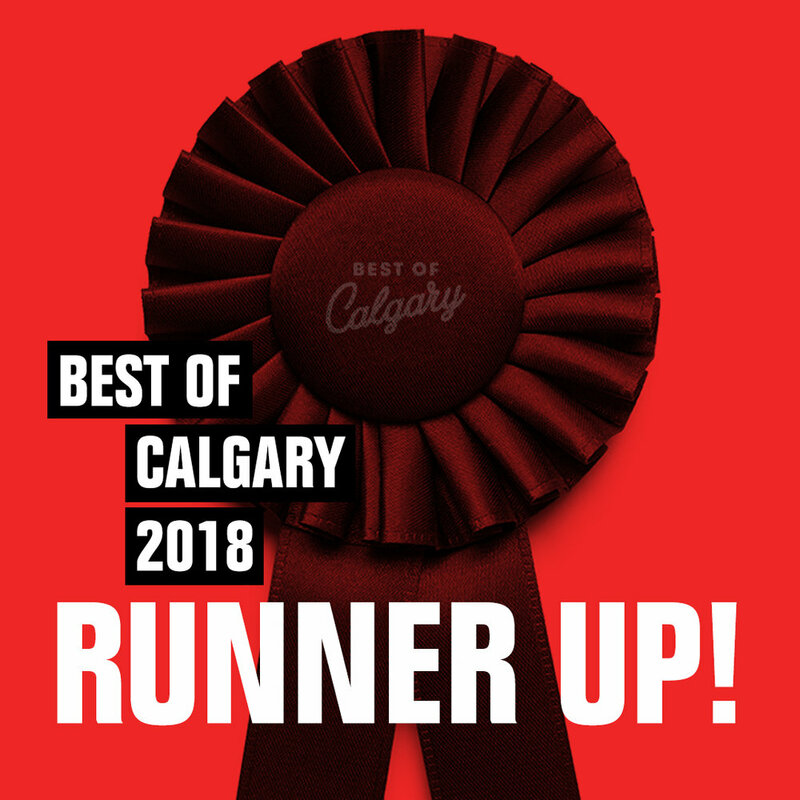 The downtown eatery is also currently a contender in the 2018 Best of Calgary awards.